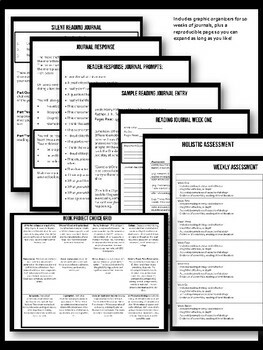 This is a Independent Reading Assignment - Just print and hand out! Three expectations in this project; Reading, Response Journal, and an Final Project. 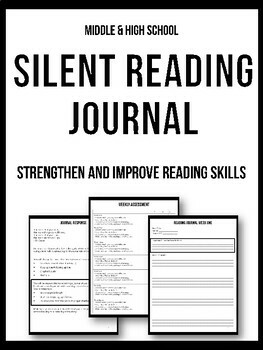 The focus is on using reading strategies to help students enjoy reading! This also provides students with choices, to ensure engagement. Contains rubric for final project. 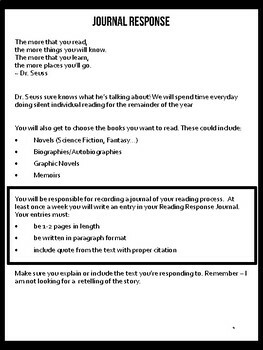 I typically have students work on their Independent Reading Assignment for the first 15 - 20 minutes of class!